Superdry women's Vintage Logo photo rose all over print t-shirt. This t-shirt features short sleeves, a crew neck and an all over rose print design. 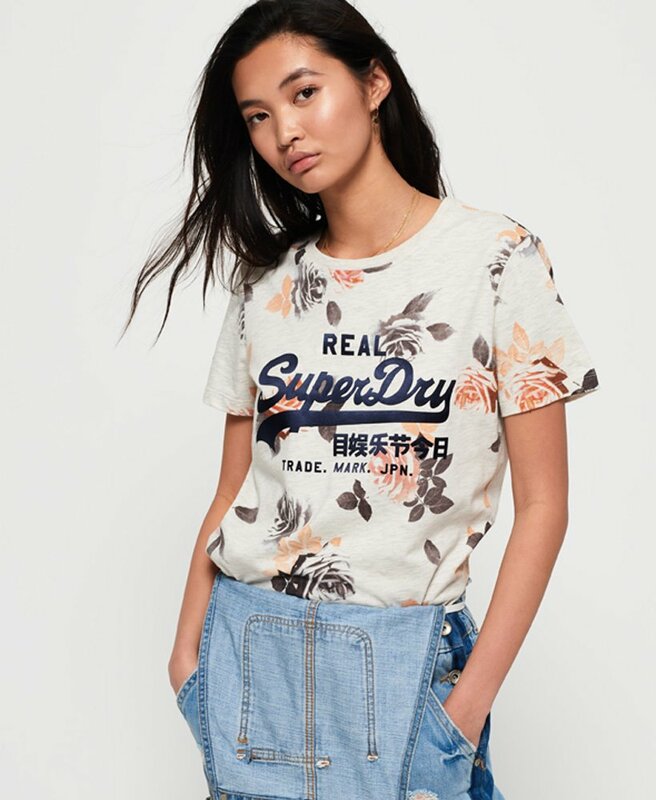 Finished with a textured Superdry logo across the chest and a Superdry logo tab on the hem.